Hikers climb up the Tall Trees Trail. Redwoods rise into the sky along the Tall Trees Tail. 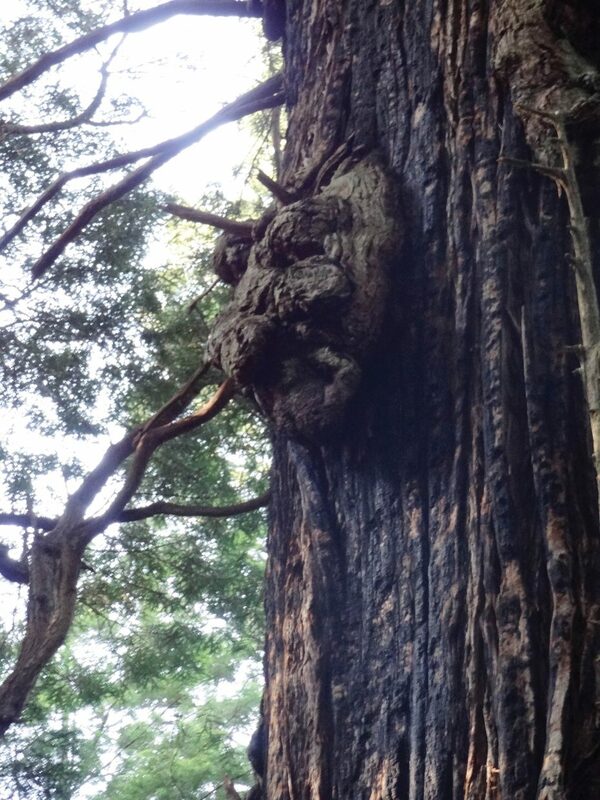 Goblin knot on the side of a redwood. 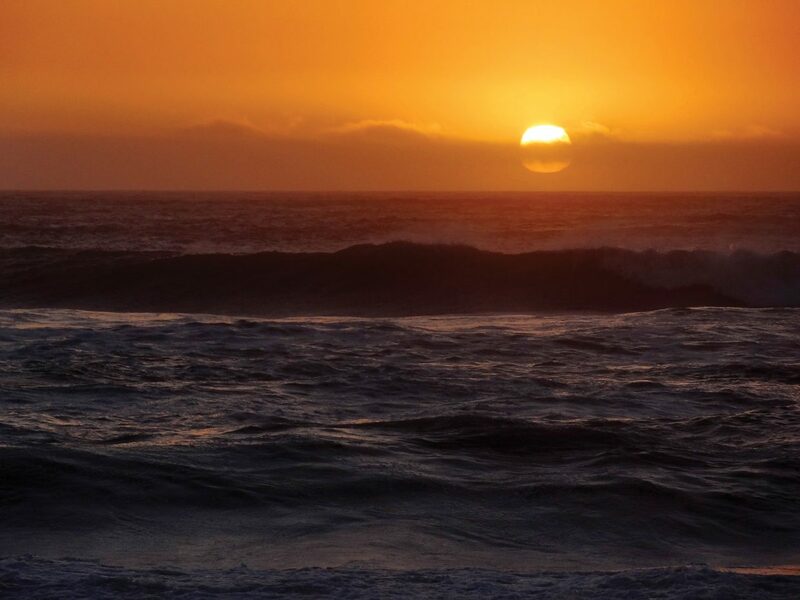 Sunset from Gold Bluffs Beach. Jesse Jameson writes down emergency contact info after getting busted for smoking marijuana in the Amtrak bathroom. Jordon Pesce shows off his excellently cooked popcorn at Gold Bluffs Beach. A quick stop at the train station in Truckee, California. 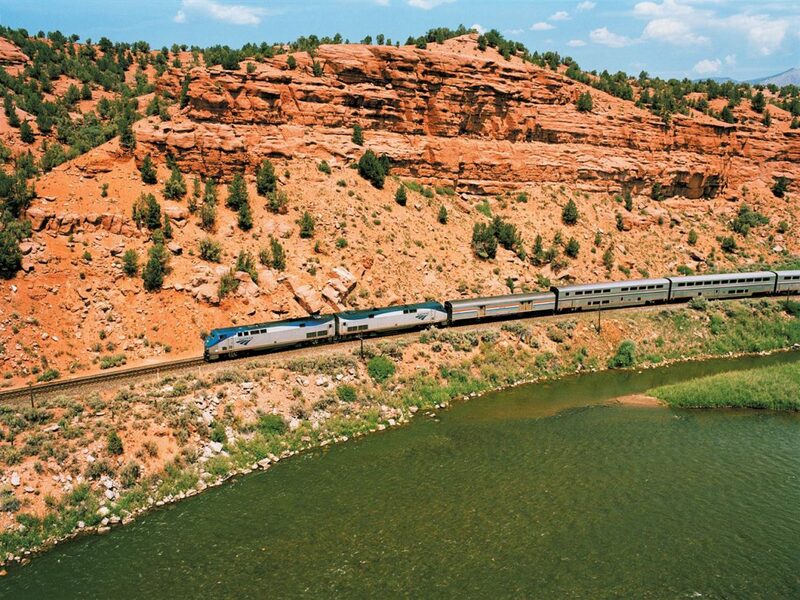 The California Zephyr passes the Colorado River. Hikers make their way through Fern Canyon. 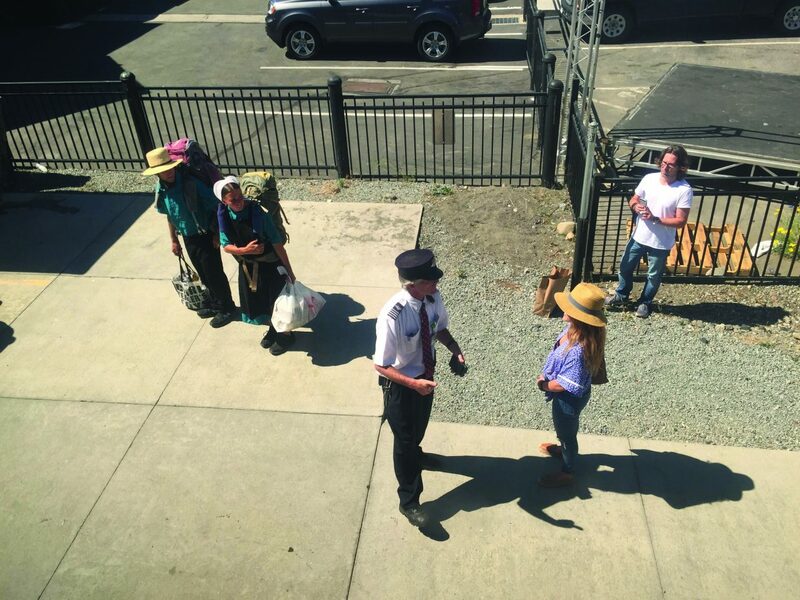 Members of the Amish community unload from the California Zephyr after it pulls in the Glenwood Springs Amtrak station. 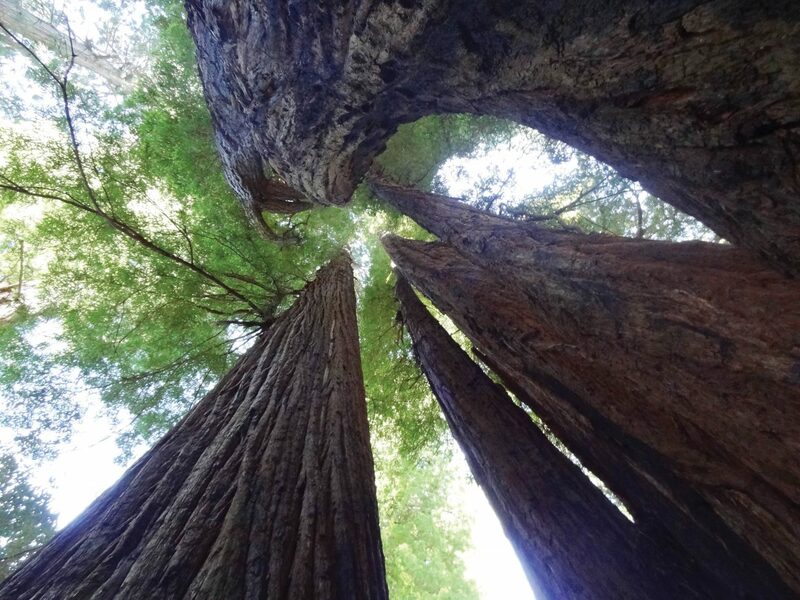 Giant trees of Redwood Nation Park in California. 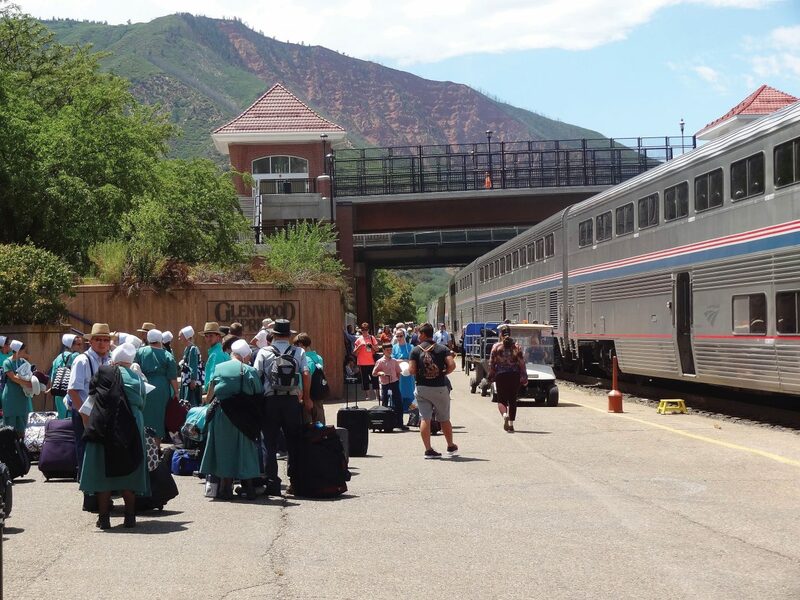 When I stepped onto the platform at the Amtrak station in Glenwood Springs and watched dozens of Amish community members disembark from the cars, it was a surprise, and the start to a great journey. For years, I had wanted to visit the giant redwood trees in Northern California and have always been intrigued by the long-distance trains that cross the country, specifically the California Zephyr route that travels 2,438 miles between my home state of Illinois and California. But, I never imagined what experiences and friendships would develop along the way. 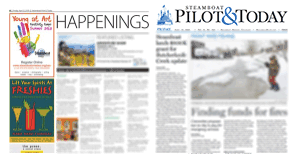 It was a two-hour drive to Glenwood from Steamboat Springs, and the city offers free parking a couple blocks away from the train station near the Garfield County office buildings. With a $200 round-trip coach ticket for myself and a $40 round-trip ticket for my bike, I was all aboard for the 24-hour trip to the San Francisco Bay Area. Boarding the train, I had no idea about the politics surrounding Amtrak and how a proposed cut to federal subsidies would force Amtrak to eliminate the Zephyr. An Amish man I spoke to on the platform explained that members of his family were on a vacation from Shipshewana, Indiana. His family and other members of his community shy away from using most modern forms of transportation, and more of the Amish stayed on the train as it headed further west. The Amish are not the only ones who count on the train. An older woman I spoke with did not have a vehicle and was going to visit family. 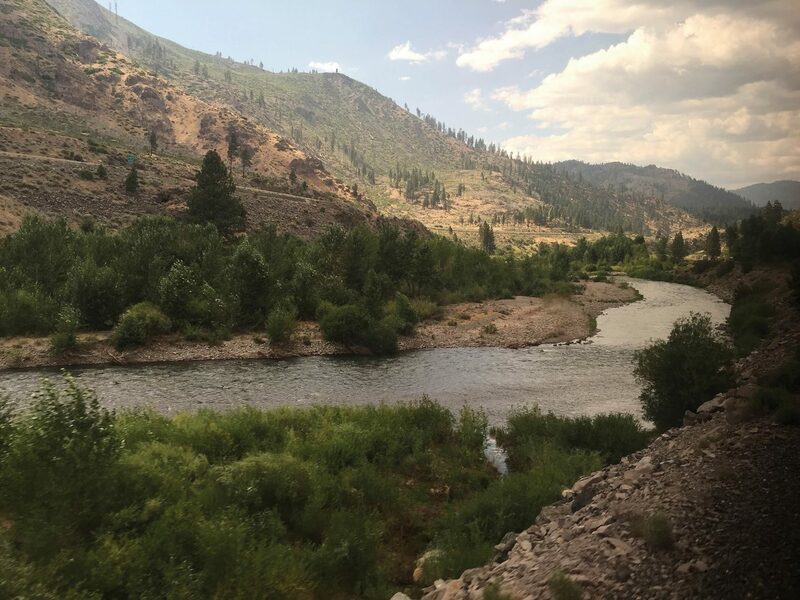 Others wanted to experience the train route that some believe is the most scenic of the 15 long-haul Amtrak routes in the United States. “It is phenomenal,” said Aviea Rosie, an Amtrak attendant from Miami doing her first stint on the Zephyr route. Aviea and I first met when she came to clean some sunflower seeds littering the carpet under my feet. Her tool for doing the job was a stringy mop. “They left the vacuum but didn’t leave the charger,” she said. While Aviea used what she had to get the job done, I relaxed in an uncrowded train car with my own row of seats that felt like recliners with all the legroom I wanted, 45-degree reclining seats and foot rests. I then met 29-year-old Jesse Jameson, who said he was taking a trip across the country to figure out how he wanted to spend his 30s. Jesse told me four years of his 20s had been wasted. I was taking notes about the train ride, writing about how one rafter floating down the Colorado River in the canyon showed off to the train travelers by performing a backflip off his boat. Countless others enjoying the river greeted the Amtrak train by showing off their tan lines and revealing their backsides by mooning the passengers. Jesse, however, was digging a little deeper with his note taking. 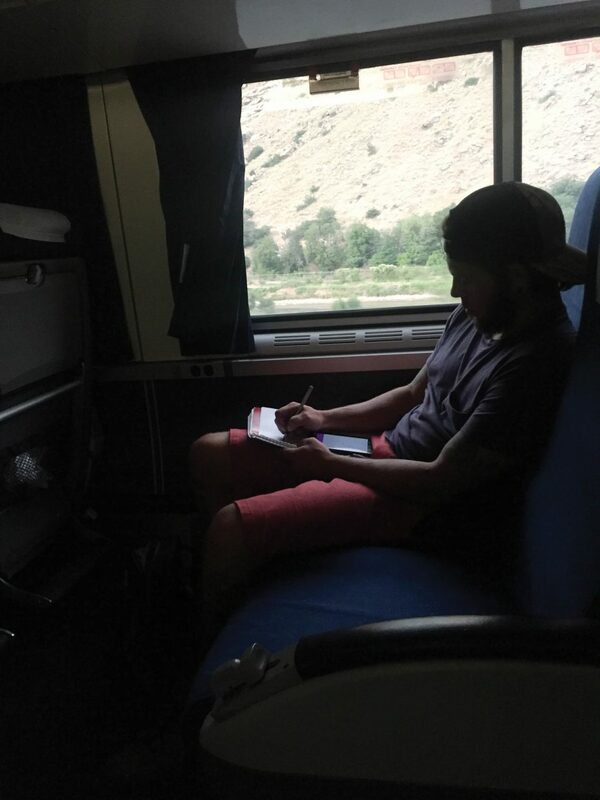 He was not writing about how Colorado river rats like to greet the Amtrak passengers as the train passed through the canyon. Instead, Jesse had four pages written so far about his life and some humbling events that led him to discover he had Crohn’s, an intestinal disease that made him lose 40 pounds and robbed him of what he thought were some of his prime years. He nearly died, he said, and had surgery to remove eight inches of his intestine. In addition to that, the tattoo-covered massage therapist from Florida, who talked about wanting to work at a high-end resort, also had a history of abusing drugs, and he did a stint in rehab. “What drugs?” I asked. “You name it,” he answered. Jesse was full of ambition and said he wanted to share his life story with the world while traveling to visit family out west and then returning to Florida. He still seemed to have a tendency to get into trouble, and Jesse’s life story became more interesting when he returned from the downstairs bathroom with a look on his face like he had just been grounded. “They caught me smoking weed in the bathroom,” Jesse said. He was not allowed to leave his seat until the conductor decided what to do with him. Jesse was told he might get kicked off the train at the next stop in Helper, Utah. Marijuana is still illegal in Utah, and with a population of 2,000 people, there likely was not a lot of help in Helper as the sun was setting. Ultimately, the conductor’s assistant came back and lectured Jesse but allowed him to continue the trek to California. For Jesse and I, it was our first long-haul train trip, and I declared it was the best way to travel if you have some extra time. I did not realize this experience was in jeopardy until I talked to two California Railroad Museum volunteers, who are train enthusiasts that provide occasional historical commentary to passengers over the train’s speaker system. Mike Eash and Niels Harms together have logged 6,500 hours of volunteer time on the trains. Earlier this year, President Donald Trump unveiled a transportation budget that would cut $630 million in federal subsidies that Amtrak receives for long-distance rail service. With other options like air and highway travel, the Trump administration believes Amtrak should focus train service on the busy Northeast Corridor. In 2016, 4.6 million people rode Amtrak’s long-distance trains with 417,000 people riding the Zephyr. 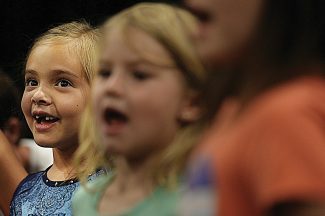 Compared to 2015, ridership on the Zephyr in 2016 was up 11.2 percent while the entire long-distance rail system saw an increase in ridership of 1.3 percent. Train enthusiasts, such as the museum volunteers on the Zephyr, have held rallies and protests across the country in response to the proposed funding cuts. Some of the first railroads to California went through the redwood forests in Humboldt County, California, but today Amtrak only offers bus service to the area. The end of the Zephyr line is near Berkeley, California, in Emeryville, where I met up with my best friend from college, Adam Jadhav, who abandoned his career as a journalist at the St. Louis Post Dispatch to become an activist and a scholar. Currently, he is a PhD student in the geography department at the University of California, Berkeley. Before renting a car and driving six hours north to the redwoods, I had the opportunity to sit in on one of Adam’s classes. He was teaching undergraduates about the impact of sanitation and human waste in developing countries, specifically in India. The next four days were reserved for talking about life and exploring the world’s largest trees along the California coast. 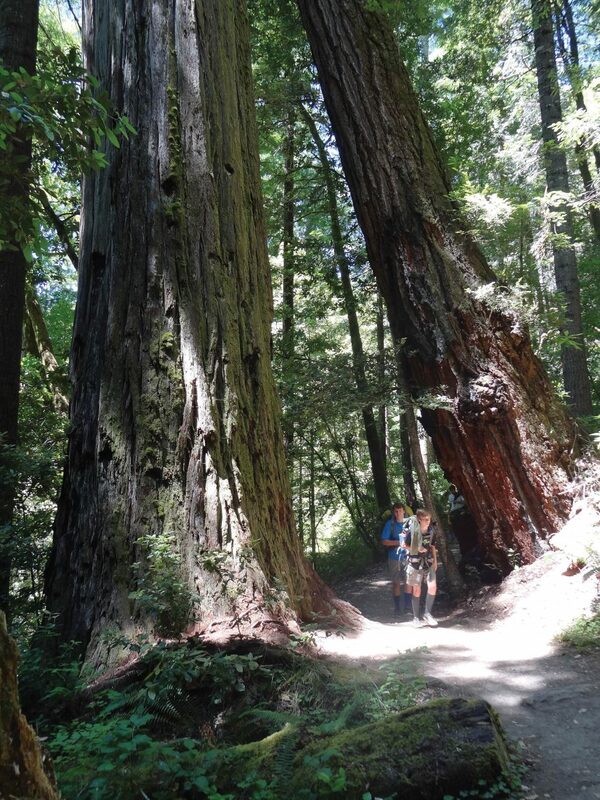 The redwoods were once viewed as a valuable lumber commodity, and some areas are still threatened today, but instead of chainsaws, foot traffic is now a problem. In the early 1900s, conservationists recognized the need to protect the old-growth redwood forest, and they began raising funds. With additional money from the state, California established three state parks in pristine areas. Areas that surrounded the parks were later declared a national park by President Lyndon B. Johnson in 1968. In 1994, the state and federal government partnered to jointly manage the three state parks and the national park, which encompasses more than 200 square miles. It has been designated as one of 20 UNESCO World Heritage Sites in the United States. At the Kuchel Visitor Center, Adam and I met with Steve Krause, a ranger who helped us reserve free backcountry permits and plan our trip. People who visit the redwoods are looking for the biggest trees, and Adam brought up the secret Grove of Titans, which were discovered in 1998 by explorers in the northern part of the parks system. Park officials do not disclose the exact location of the Titan trees, but the internet has not helped keep the secret, and damage to the trees has been done. 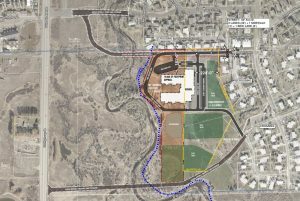 Krause was troubled and saddened when talking about the Titan area. Hikers looking for the giants have somewhat innocently created new trails known as social trails that have damaged resources and scarred the landscape. He said ferns on the forest floor and other vegetation surrounding the largest trees have been destroyed by the foot traffic. 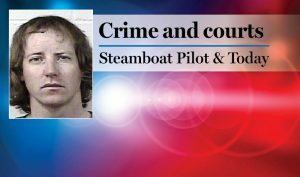 “People are missing the forest while looking for the tree,” Krause said. 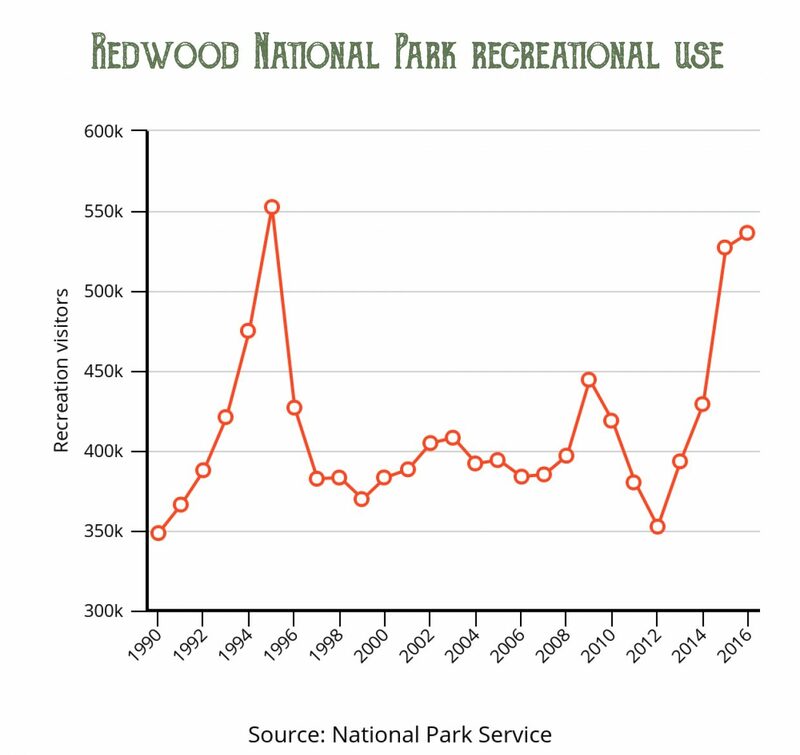 The Redwoods National Park was visited by 536,297 people in 2016, compared to visitation numbers of 4.5 million at Rocky Mountain National Park in Colorado. Adam and I forgo the Titans and instead hike the four-mile Tall Trees Trail, which requires a free permit in an effort to limit traffic to some of the most famous trees, which are 600 feet down a ridge along Redwood Creek. “One particular redwood rose above the others like a candle,” Zahl wrote. The discovery of the Tall Tree and its siblings renewed the effort to establish a national park in 1968. Hiking back up the ridge, three fighter jets flew loud and low overhead. The sounds were loud and shocking, but my mind drifted back toward the rare and unique experience I was having with the people I had met and the friend I had spent countless hours with in college shooting darts, drinking beer and discussing journalism and our future. After his father was tragically killed in a car accident while we were in college, I drove my friend to the car at the wrecking yard and helped Adam retrieve his father’s belongings. The hikes allowed us to talk openly about everything. On Adam’s mind were questions about capitalism while he works to better the world through his research and thoughts about reuniting with his wife, another scholar who has only visited the U.S. shortly for a stateside wedding ceremony in St. Louis. 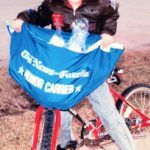 I had just finished with a serious relationship but was still loving my journalism career and thinking about the future. I think we both figured some things out. For our last night in the woods, we hiked four and a half miles to Gold Bluffs Beach campground, which has a backcountry camping area reserved for hikers and cyclists not needing a parking spot. 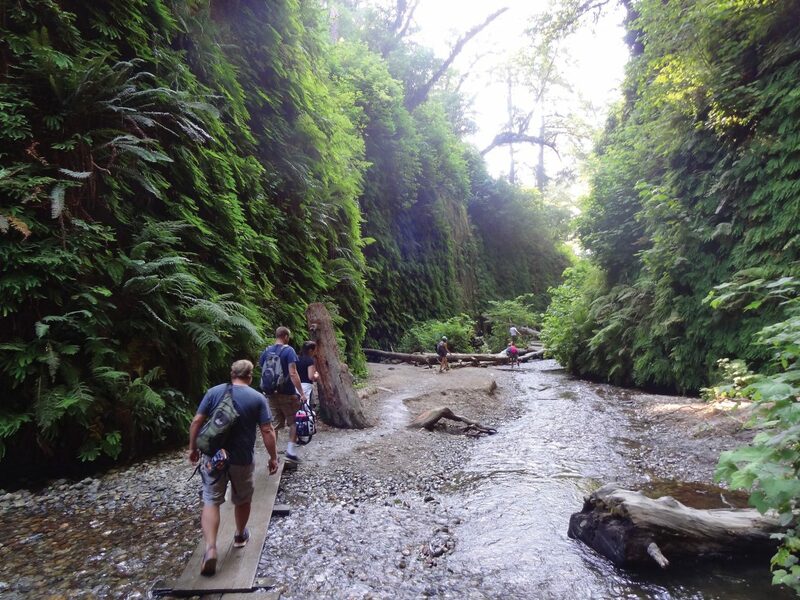 Fern Canyon, a popular site accessible by car with wooden pedestrian bridges going over the creek and ferns lining the walls, is nearby. 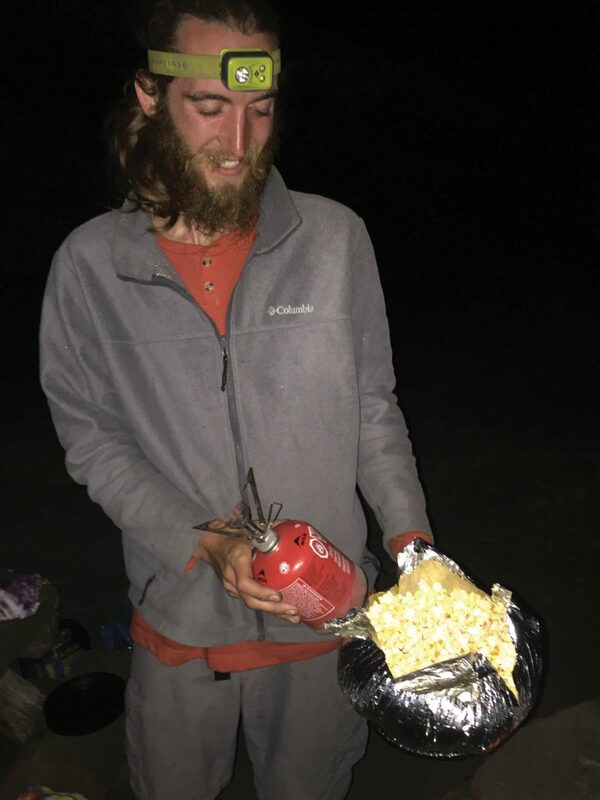 At Gold Bluffs Beach, we lit a fire and met Jordon Pesce, a skinny, tall 25-year-old with a full beard from Juliet, Tennessee, who gave up work as a diesel mechanic to hike the Appalachian Trail for six months. 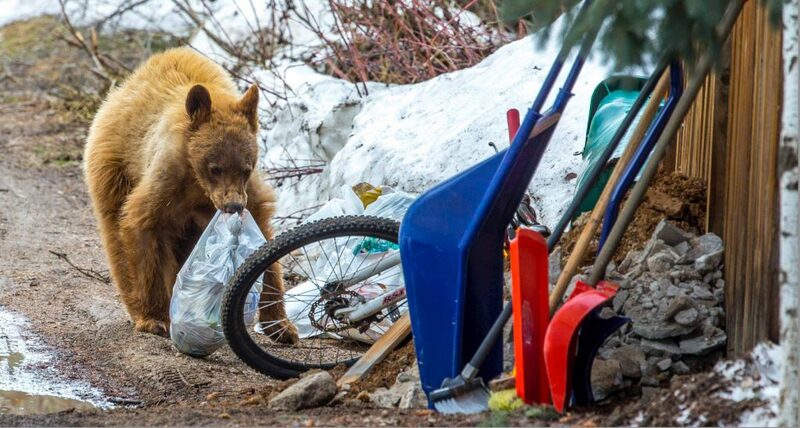 He did not seem excited about figuring out a new career, but he was skilled when it came to making Jiffy Pop popcorn with a camp stove. “If I could work at REI and talk trail every day, that would be OK,” Jordon said. On his Appalachian hike, he was given the trail name of Pineapple Express after pulling out a pre-cut pineapple and sharing it with his new friends. My trip also ended up being one of the best decisions I have ever made, but it was time to get back on board the Zephyr, and this time, there were repeated announcements about not smoking in the bathrooms. While traveling along the Truckee River, a woman from the area marveled at how the unprecedented snowfall over the winter had kept the river running high in July. 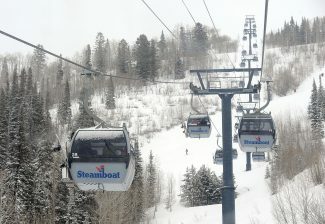 The wave to the train from California rafters was a lot more civilized than the way people greet the Zephyr in Colorado. I could not wait to see how they did it in Nevada.